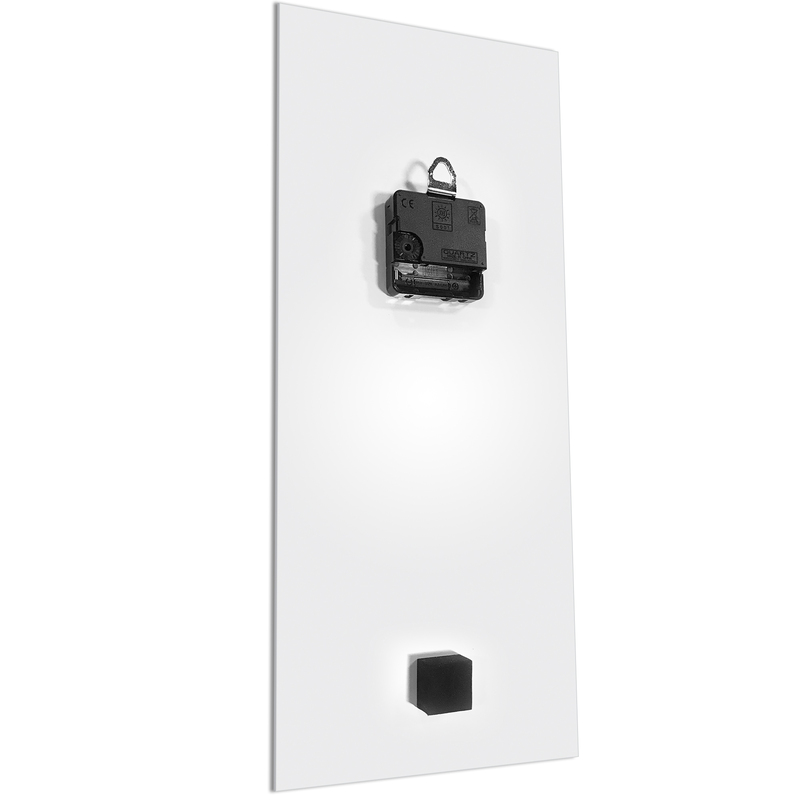 With thick strokes of color, a silent sweep motor, and clean contrasting hands, this functional decor doubles as both wall art and a clock. The Urban Warmth v7 Clock is crafted in Cincinnati with the vibrant brushstroke artwork of Celeste Reiter. 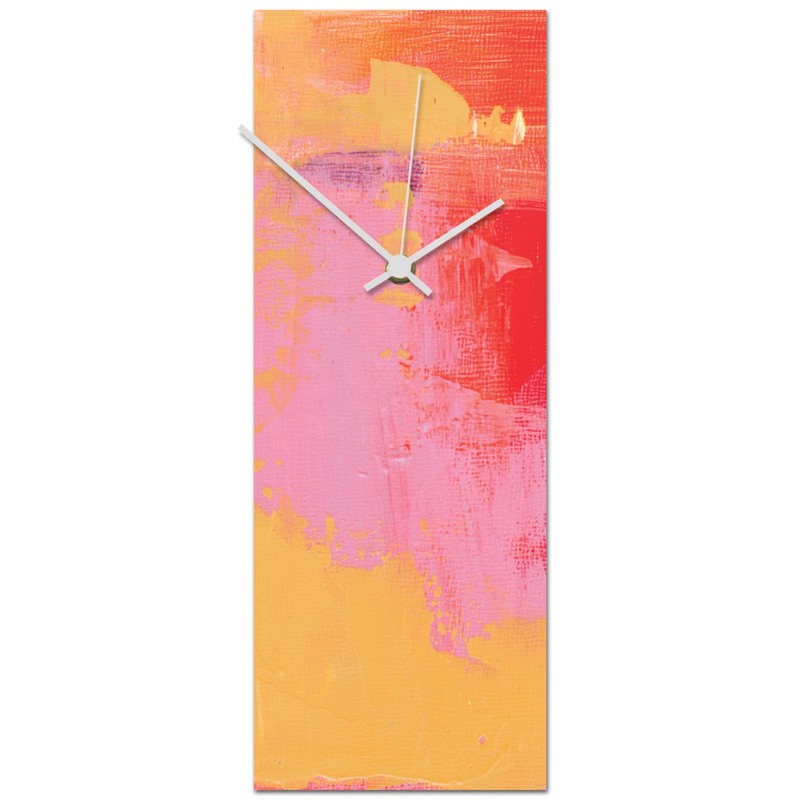 This modern wall clock features a tall metal body with a crisp satin-matte hues of gold, pink, red, and burnt orange, applied as giclee artwork directly to the clock face. 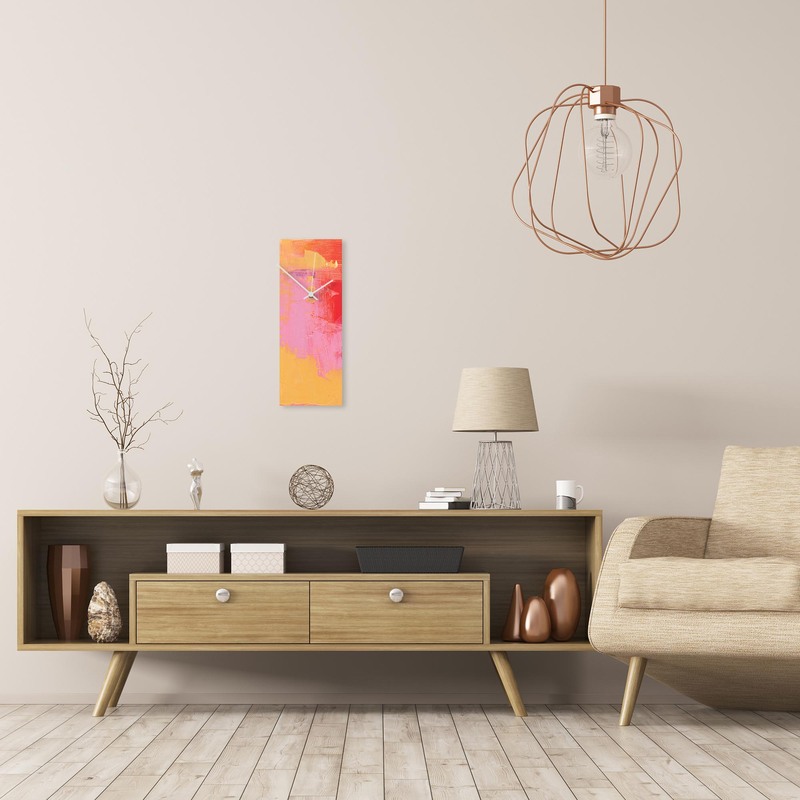 This colorful kitchen clock is more than just a time piece; it is a striking addition to an urban loft, an artistic statement in a studio apartment, an attractive splash in a modern space, or a bold accent in a corporate office.